Billy McCarroll played competitively in the sport of golf during his youth in Santa Barbara, California. 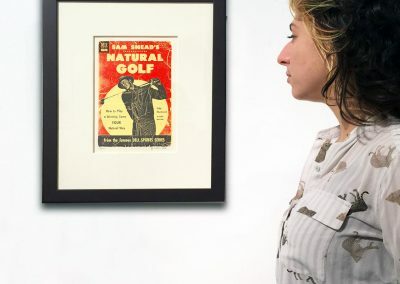 Receiving a golf scholarship to the California State University, McCarroll changed his direction and left with an MA in Visual Art in 1969.The multi media artist has spent that last 30 years as an instructor, artist and jazz musician at the University of Lethbridge, Alberta Canada. 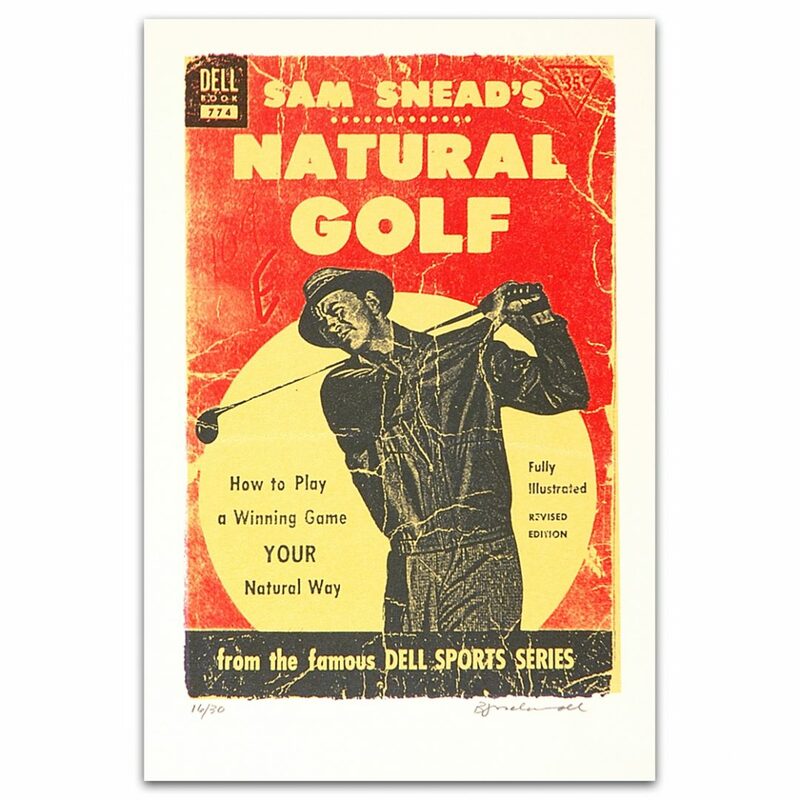 In 1983, McCarroll came upon the 1953 Dell paperback edition of Sam Snead’s Natural Golf, a how to book of instructions from the famous golfer which became an ongoing influence in the artistic course of McCarroll’s art. 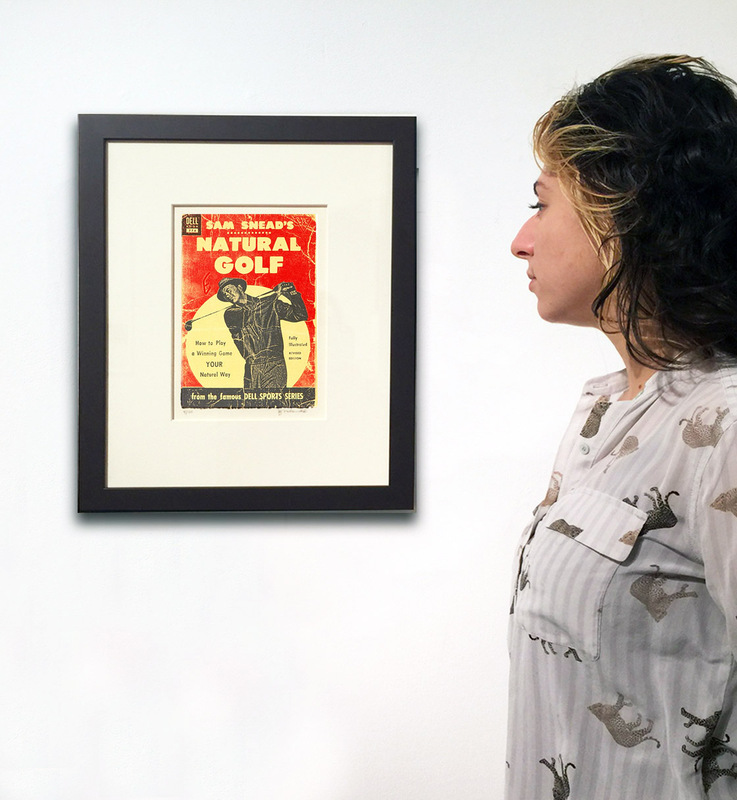 Through the artist’s forays into eccentric abstraction and structural-procedural geometric abstraction, McCarroll’s appropriations of the rough graphics and text from the book allows the artist to preserve his reverence of the game of golf while balancing it with a subtle sense of humor, giving his work namely a unique visual presentation.